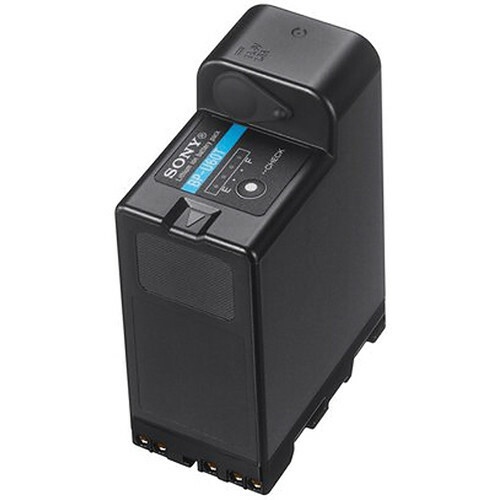 The Sony BP-U60T Lithium-Ion Battery with 4-Pin Power Output is a 57Wh battery compatible with XDCAM camcorders and decks such as the PMW-200, PMW-150, PMW-100, and PMW-50. It features a 4-pin XLR output that allows you to provide 2A of power supply to additional devices. It provides on average about two hours of power to most of the compatible camcorders. The battery features an INFO function that communicates capacity, charge time, and charge cycle data to camcorders and chargers supporting the INFO function. Box Dimensions (LxWxH) 4.409 x 3.228 x 2.598"